Vegan Eats and Treats! : Cozy Time! As you might know, we're having some sort of crazy, years-long drought out here in California. Sunny days are fun, but after a while it gets a bit relentless. Sometimes all I want is a grey day where I feel justified in cozying up on the sofa, doing inside-the-house stuff, snuggling the kitties, etc. Well, guess what!? I finally got some quality cozy time. The last couple of days have been mercifully grey and cool, and then - to make the deal even sweeter - we woke up yesterday morning to a rainy sky. Ahhh. Thursdays are my early morning workout day (7am! 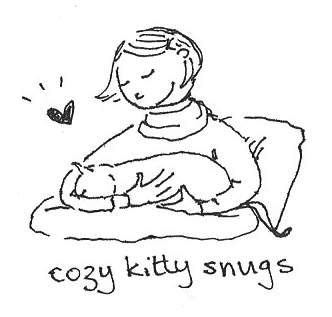 ), so when I came home, I got straight to work with cozy time. Step three: Settle onto the sofa with my Chrome Book, some work tasks, and then be ambushed with excellent kitty snugs! Step four: roast a giant batch of veggies for lunches. This whole biz lasted me for two lunches. I am a veggie monster! 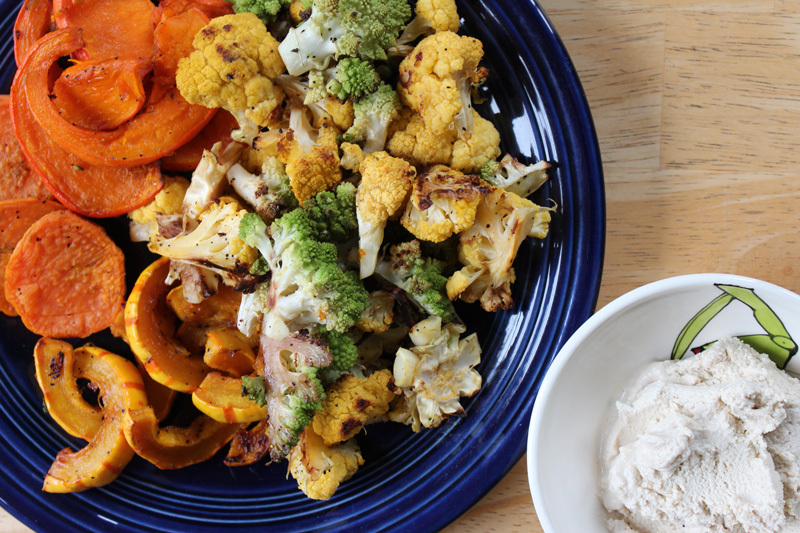 Delicata squash, kabocha squash, sweet potatoes, yellow cauliflower, and romesco cauliflower... all tossed with a little olive oil, salt and pepper. So beautiful and so delicious. I had a great morning doing the crossword puzzle, getting lots of computer work done, and catching up on emails. Then, after teaching a morning class, I finally got to eat my lunch: all my delicious veggies and a big dollop of tofu ricotta. Ahhh. A good ol' rainy day. 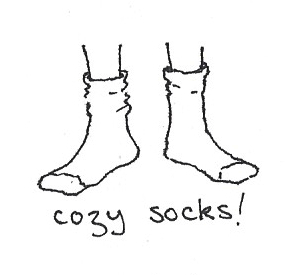 Sounds like you have a winning formula for cozy times on rainy days. Ah, cozy days are the best! And you really did it right with the socks, coffee, and kitty snugs. Side question: will you be sharing the drawings you did for your end of MoFo giveaway? I'd love to see them! Ooo that pile of roasted veggies sounds great. Sometimes I love cloudy cool days! We've finally taken a wintery turn where I live. I walked to work in my winter coat and hat yesterday and Loved it! It's funny how I've become a winter person when I was before definitely a summer person. I LOVE those kind of days too. I do love the sunshine, but there is something comforting about snuggling up inside on a cold day. That sounds like a perfect cosy day. I need to make tofu ricotta to go with roasted veggies sometime, it sounds like an amazing combo. I wish we could share some of our precipitation with you guys! We had the snowiest winter on record last year and flooding over the summer! The snow has already started again too! No one is ready for it so soon! It does give us a lot of opportunities for cozy days watching the snow fall though! You should rent a cabin and vacation in Michigan! 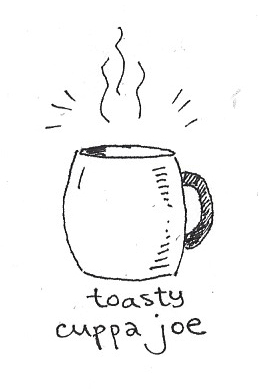 I'm pleased that it is big mug of hot tea weather again.